Our research group spent 18 months looking at eight million data points covering the three-year period from mid-2013 to mid-2016. We discovered that during this period, a handful of New England gas utilities owned by two large energy companies routinely scheduled large deliveries, then cancelled orders at the last minute. These scheduling practices created an artificial shortage when in fact there was far more pipeline capacity on the system than it appeared. 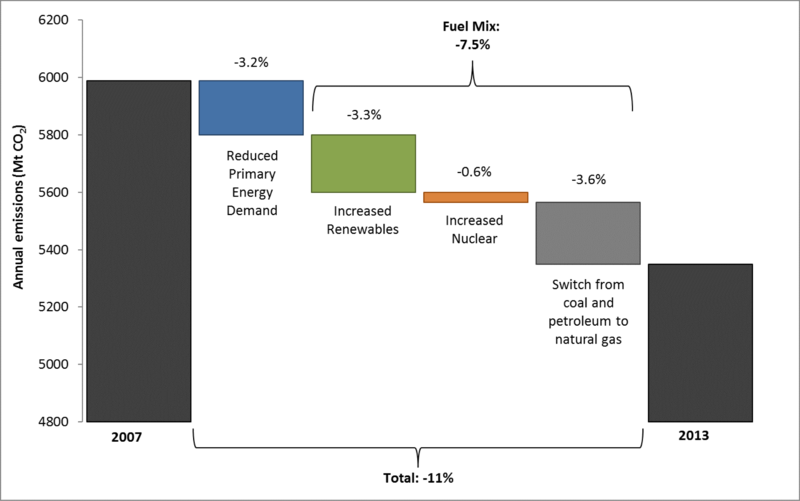 As a result, we estimate that New England electricity customers paid $3.6 billion more over this period than they would have if the unused pipeline capacity had been available to deliver gas for electricity generation (for more information on how we calculated this number, visit our methodology page). As for the need for a new pipeline, our analysis shows that energy prices over this period were inflated, which means they should not be used to assess how much, if any, additional pipeline capacity is needed. Both conclusions illustrate why it’s so important (and how valuable it could be) to fix the interface between the gas and electric markets. Although it was natural gas that was supposedly in short supply over this period, electricity prices also experienced large price spikes. That’s due to the way electricity prices are set, and the fact that much of the electricity in New England, as in much of the country, is increasingly generated using natural gas. About half of the electricity traded in New England’s wholesale electricity market, ISO New England (ISO-NE), comes from gas-fired generators. For any given hour, the wholesale electricity price for all generators in this market is determined by the last (highest) bid needed to meet customer demand (or “clear the market”). This market clearing price is typically (75 percent of the time) set by a natural gas plant, which means their cost for gas and pipeline transportation tends to drive the price of electricity. That cost is largely determined by the spot price of natural gas at Algonquin Citygate, New England’s main gas trading hub, served by the Algonquin Pipeline. The figure below shows a stylized generation supply curve for ISO-NE. The lower cost resources to the left (typically solar, wind and hydro) are generally used before the higher cost plants to the right (coal, gas, petroleum). The plants situated where demand meets the supply curve set the overall market price in any given hour (bids are submitted a day ahead of time in the day ahead market). This is typically one of the natural gas plants represented by the red dots on the middle part of the curve. A higher spot price for natural gas increases the marginal cost of gas-fired generators, shifting the generation supply curve up as seen in the second panel. This translates into a higher marginal cost of meeting a given level of electricity demand and thus a higher wholesale electricity price P*. Stylized generation supply curve for ISO-NE. In New England, as in many other markets, gas-fired electricity generators generally procure gas from a secondary market, where sellers are usually natural gas utilities that purchase long-term contracts at regulated prices directly from the pipeline company. The secondary market exists because these long-term contracts allow contract holders to sell any unused capacity at unregulated prices to gas-fired generators or others. Generators buying in the secondary market for gas do so because they have decided it is more cost-effective to procure natural gas transportation that way than to grapple with rigid, long-term contracts for pipeline capacity that don’t fit their highly variable needs. On days like these, holders of long-term contracts can pocket the difference between the price that buyers in the secondary market are willing to pay for gas deliveries, as indicated by the Algonquin Citygate spot price, and the regulated price they themselves pay the pipeline for that same capacity. In the case of utilities, revenues from such sales are typically to a large extent refunded back to the ratepayers that paid for those long-term contracts in the first place. How could pipeline capacity go unused during the polar vortex? We see four local gas utilities (two owned by Eversource, two by Avangrid) that scheduled far more pipeline capacity the day before gas delivery than they ended up using the next day. Repeatedly, these companies downscheduled their orders only at the end of the gas delivery day–too late for that unused capacity to be made available to the secondary market. The threshold at which last-minute down-scheduling of gas orders impacts gas and electric prices varies depending on daily demand. As a proxy, we looked at how far the scheduling patterns at delivery “nodes” on the pipeline operated by Eversource and Avangrid-owned utilities deviated from the overall system average. On 434 days during the study period, at least one Eversource node made downward scheduling changes more than two standard deviations larger than the average scheduling change made by all firms on the pipeline. On 351 days, at least one Eversource location had a schedule change more than three standard deviations larger than the average. The Eversource utilities primarily made large downscheduling changes on cold days, while Avangrid made large scheduling cuts far more often. On 1043 days, at least one Avangrid location made downward scheduling change more than two standard deviations larger than the average. On 1031 days, at least one Avangrid location made a downward change more than three standard deviations larger than the average. Total unused capacity exceeded 100,000 MMBtu on 37 days in the three-year period we looked at, which is roughly 7% of the pipeline’s total daily capacity and 28% of the typical total daily supply to gas-fired generators. That these large amounts of downscheduled pipeline capacity were not made available to New England’s gas-fired generators raised both the gas price for generators as well as the price of electricity for New England’s electricity customers. We estimate that unused pipeline capacity increased average gas and electricity prices by 38% and 20%, respectively, over the three-year period we study. While this behavior may have been within the companies’ contractual rights, the significant impacts in both the gas and electricity markets show the need to consider improvements to market design and regulation. The gas transportation market must become more transparent and flexible to better ensure that existing pipeline capacity is optimally utilized and that unbiased price signals in both the gas and electricity markets lead to cost-efficient investment in energy infrastructure. New York is preparing for a future in which clean, distributed energy resources – such as energy efficiency, electric vehicles, rooftop solar panels, and other types of local, on-site power generation – form an integral part of a more decentralized electric grid. 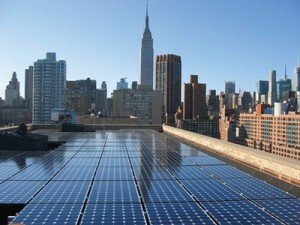 This is the future the New York Public Service Commission (PSC) wants to see realized through its signature initiative, Reforming the Energy Vision (REV).